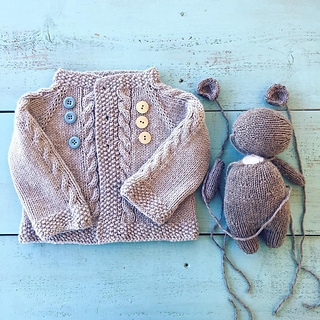 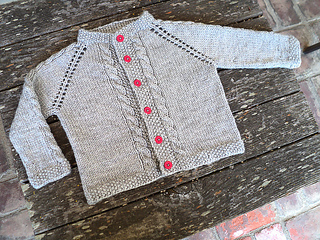 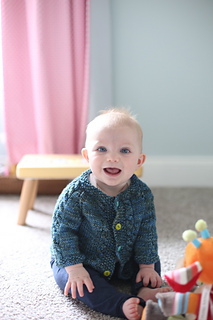 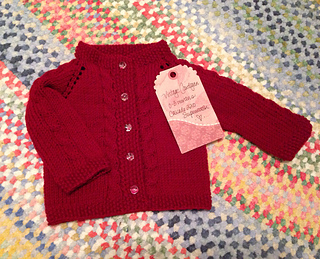 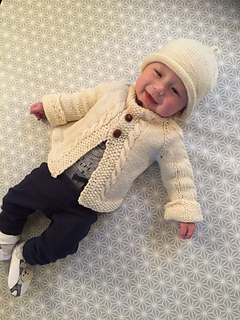 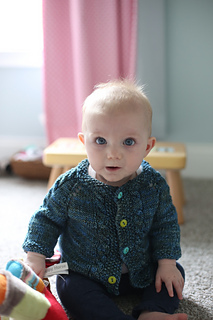 This is a sweet little cardigan worked from the top down with a small amount of cable detail. 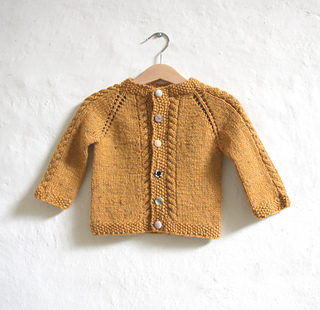 Inspired by a sweater knit for me in 1972. 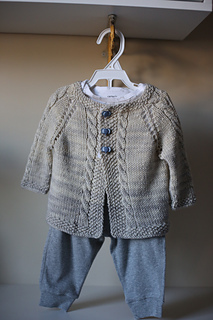 Need to do yarn overs, various decreases, cables. 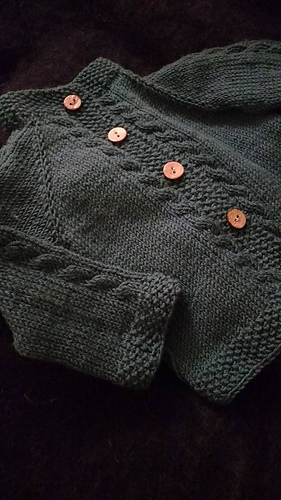 Written for a novice knitter.